Donna J. Shepherd is a children's picture book author and inspirational writer. Donna's children's books, Topsy Turvy Land, No More Gunk! & OUCH! Sunburn!, Chizzy's Topsy Tale, Dotty's Topsy Tale, Poodle and Doodle, Sully's Topsy Tale, Bradybug, and Where is Salami? feature short, playful rhymes and wonderful illustrations. Most have hidden pictures in them, too. Donna has hundreds of articles and devotionals to her credit. Her writings appear in Daily Grace for Women, Anytime Prayers for Everyday Moms, and The Best Grandma in the World to name a few. 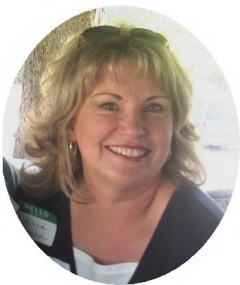 Donna is the founder of Greater Harvest Workshops and Middletown Area Christian Writers. She's also in demand as a Bible teacher, conference speaker, and singer. Donna lives in the Cincinnati area. Join Donna's Facebook Fan Club for writing tips and updates about her books and ministry. I LOVE it when I get pics of children reading "Ava's Secret Tea Party." This one has all the elements of a tea party on a boat - pearls, pink shoes, cool shades with bling (of course!) and ruffles. Precious! Another adorable coloring page featuring characters in "Where is Salami?" (by Donna J. Shepherd, illustrated by Jack Foster). sneak peek inside donna shepherd's books. Your books sound so cute! Hi Donna, looking forward to seeing you in St. Louis and getting you to sign books for my grandsons! Hi Donna, thanks for adding me to your friend list. Thanks! The illustration for Kia is a fundraising poster He was brutally shaken by his babysitter and had severe brain trauma.He is improving every day - but the costs are mounting - so friends and the publishers that I worked with on the book "Curley & Q" commissioned me to come up with an idea for the poster. Hello, Donna. I'm happy to have you as a friend. I read your interview with Shari. Very nice! What a coincidence! I just interviewed Collier on my blog! Congrats on what seems like a great book! Donna, thanks for letting me know about JacketFlap being in the Writer's Digest top 101 Web sites list. I had no idea! Hi, Donna! I recognized you from your book image-- great to see you here!